The older Jack gets, the more fun we have during bathtime! It’s one of our favorite daily activities these days. I’ve tried a lot of bath products for Mr. Jack and really love Dr. Brown’s. I’ve been a loyal Dr. Brown’s bottle user for years, but recently just learned about some of their other baby products. 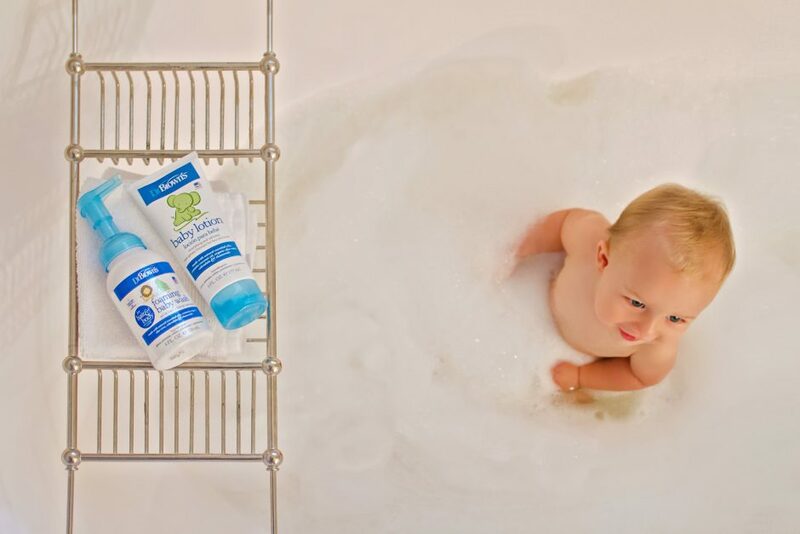 We use Dr. Brown’s foaming bath wash for Jack’s hair and body (it also makes a really great bubble bath!). The bath wash is made with natural essential oils and organic aloe vera and chamomile, which are great for the skin and relax the baby before bedtime. Post bath, we use Dr. Brown’s lotion and diaper rash cream, which are very hydrating but not greasy. A bottle, a board book (this is Jack’s current fave), and a lullaby later and this little guy (and me!) are ready for a good night’s sleep. What are your go-to skincare products for babies and toddlers? I’d love to hear in the comments of this post!